Tutustu uuteen Vanguard hunting and outdoor 2019 -tuotekatalogiin tästä. The Leica Q2 features a newly developed 47.3 megapixel full frame sensor that captures both richly-detailed still pictures and 4K video in brilliant quality at ISO sensitivities up to 50,000. The new Leica Q2 is the only camera in its class to feature protective sealing against dust and water spray. The fast maximum aperture of f/1.7 is ideal for capturing the world with your subject standing out in incredible sharpness while the background blurs into a beautiful void, and guarantees you outstanding imaging performance in even the most difficult lighting situations. The newly developed, high-resolution OLED viewfinder has a resolution of 3.68 megapixels. The high resolution provides an ideal view and live preview of your subject at all times, with improved image depth and higher contrast. To ensure you never miss a treasured moment, the Leica Q2 boasts an autofocus system that sharply focuses on your subject in 0.15 seconds, the fastest in its class. For brilliant, true-to-life moving pictures, the new Leica Q2 offers a 4K video mode with 3840 x 2160 pixels and frame rates of 30 or 24 frames per second. SIGMA Corporation is pleased to announce the launch of the Art line prime lens lineup for full-frame cameras in L-Mount. These L-Mount series lenses have achieved high-speed AF and are fully compatible with AF-C mode, in-camera image stabilization, and in-camera aberration correction. The lineup will consist of 11 prime lenses for full-frame cameras from SIGMA’s Art line covering from 14mm to 135mm currently available in other mounts, allowing the Art line, which pursues the highest performance, to be enjoyed on L-Mount cameras. With the AF drive control program and high-speed communication tuned for each lens, shooting at speed with high-precision AF control is achieved. The lenses also support the AF-C mode. Compatible with in-camera image stabilization, the camera automatically detects the focal length of each lens and optimizes image stabilization performance. Fully compatible with in-camera aberration correction (corrections for peripheral illumination, chromatic aberrations, and distortion). By matching corrections to the optical characteristics of the lens, this function takes image quality to an even higher level. Making the lens mount native provides a much more rigid and stable feel to the lens than using an adapter. Featuring a surface treatment to enhance strength, the brass bayonet mount offers a high-precision fit and exceptional durability. The mount connection area incorporates rubber sealing for dust- and splash-proof construction. This service converts specifications of the mount of SIGMA lenses to that of a different camera body. Users can “tailor” their favorite lenses to the camera body if they plan to get a new one in the future. This allows continued use of their favorite lenses over the long term regardless of the camera system. ※1 Compatibility with each function depends on the functions available on each camera. ※2 The SIGMA Mount Conversion Service (chargeable) is different from a normal repair service. It is not available at stores. In order to apply for the service, please contact your nearest authorized SIGMA subsidiary or distributor. We would like to announce that a new firmware update for SIGMA’s interchangeable lenses for NIKON F mount listed below is now available. Phenomena particular to some lenses when they are used in combination with the Nikon “Z 7” and their “Mount Adapter FTZ” that we announced on October 26th, 2018 are improved on by this firmware. For customers who own the SIGMA USB DOCK and applicable product listed below, please update the firmware via SIGMA Optimization Pro※. ※ Before updating the firmware using the SIGMA USB DOCK, please ensure to update SIGMA Optimization Pro to Ver. 1.5.0 or later. ・When the lens is used in combination with the Nikon “Z 7” and their “Mount Adapter FTZ”, it has corrected the phenomenon whereby it may occasionally stop recording while shooting video. ・When the lens is used in combination with the Nikon “Z 7” and their “Mount Adapter FTZ”, it has corrected the phenomenon whereby the response to the AF operation is intermittent when starting to shoot with the subject completely out of focus. ・When the lens is used in combination with the Nikon “Z 7” and their “Mount Adapter FTZ”, it has corrected the phenomenon whereby it may occasionally show overexposure when narrowing down the aperture from F5.6 while shooting. Valokuvaustukku Foka Oy haluaa olla mukana tukemassa vastuullista eränkäyntiä. The SIGMA Corporation is pleased to release the SIGMA 28mm F1.4 DG HSM | Art. 28mm angle of view used to be a representative wide-angle in the era of film cameras, and attracts many fans even today. To accommodate the request from many photographers who expressed the strong interest in using the familiar 28mm with Art line quality, SIGMA produces the SIGMA 28mm F1.4 DG HSM | Art, based on the know-how gained through development of the Art F1.4 prime lens lineup released so far. This newest traditional wide-angle lens, advantaged by the latest design and materials, as well as the processing technologies, is now available from SIGMA’s Art line. SIGMA, Nikon F mount and Canon EF mount are scheduled to start the shipment in January, 2019. The outstanding optical quality of the D-Lux 7 is achieved by both a fast aperture (f/1.7–2.8) and a long focal length of 10.9 - 34 mm (24–75 mm equivalent) with its built-in lens. The D-Lux 7 features a newly developed 17-megapixel sensor. Delivering full resolution, independent of the selected aspect ratio (3:2, 4:3, 16:9), the sensor provides greater details in every image. The large size of the 4/3rd sensor means larger pixels that are able to collect more light, which reduces image noise and makes the D-Lux 7 ideal for available light photography. Selaa Leica Sport Optics esitettä täältä. Life is full of moments worth preserving. The new Leica Q-P is the perfect instrument for achieving your photographic ambitions and transforming the decisive moments of your life into lasting memories. The integrated viewfinder of the Leica Q-P is activated as soon as the camera is brought up to the eye. It faithfully displays the camera’s image at any time, right down to the smallest detail and without any perceptible delay. With its resolution of 3.68 MP, it is ideal for taking pictures in backlight situations, even the smallest details of the image are reliably displayed at all times. Prefer to focus manually? Then let the innovative Live View aids “Focus-Peaking” and “Live View Zoom” assist you. Easy to use, the Leica Q-P helps you implement your ideas perfectly - at the press of a button. Intuitive, ergonomic, pragmatic. The controls of the Leica Q-P provide quick access to all relevant options and opportunities. For example, auto-focus can be set either using buttons or via the touch screen. Sigma SEIN, tehtaan oma julkaisu. Photokina, the world’s largest fair for camera and video products, begins in Cologne on September 26. It will be the 35th Photokina since its start in 1950. It should be a special Photokina this year, even compared to previous editions. One reason is the full-frame mirrorless systems many exhibitors are going to present and which should affect the photography and film market considerably. But a bigger reason is a change to the event itself. Starting next year, the fair, which has so far always been held every other year in September, will change its schedule to take place every year in May. I feel a little sentimental when I consider that this year’s is the last Photokina I will experience together with the scenery and climate of an autumnally Cologne, and I expect more than a few other exhibitioners will share my sentiments. The first time our company took part in Photokina was in 1972. It was long before I joined the company, of course. For SIGMA, which was one of many small-scale businesses in the market at the time, participating in an international trade fair in faraway Europe seemed an expense beyond all proportion. But to late SIGMA founder Michihiro Yamaki, SIGMA’s participation in each Photokina was a measure that the company had the necessary scope and funds, and he made it SIGMA’s goal to become a brand with satisfied customers throughout the entire world. In the fifty years since, even if at times it proved difficult, we were able to take part in each and every Photokina, thanks entirely to the support and loyalty of our customers. Our booth at our very first Photokina was a humble space, with nothing in it but the standard counter table. Only two employees visited from Japan, one of whom was company president Michihiro Yamaki. Together with a young German woman as support, the booth was manned by only three people. In contrast to today, in its earlier years Photokina was a serious business fair, where actual product orders were carried out. The three worked tirelessly from morning until late in the evening promoting SIGMA and our products over and over. During his lifetime, Michihiro Yamaki often said that he would never forget the young German woman being moved to tears at the end of the fair. Today, in 2018, our industry is still seeing constant changes, and I expect Photokina to keep evolving, too. I will always be thankful to our many predecessors, at SIGMA and any other company, who have helped make this industry what it is today. 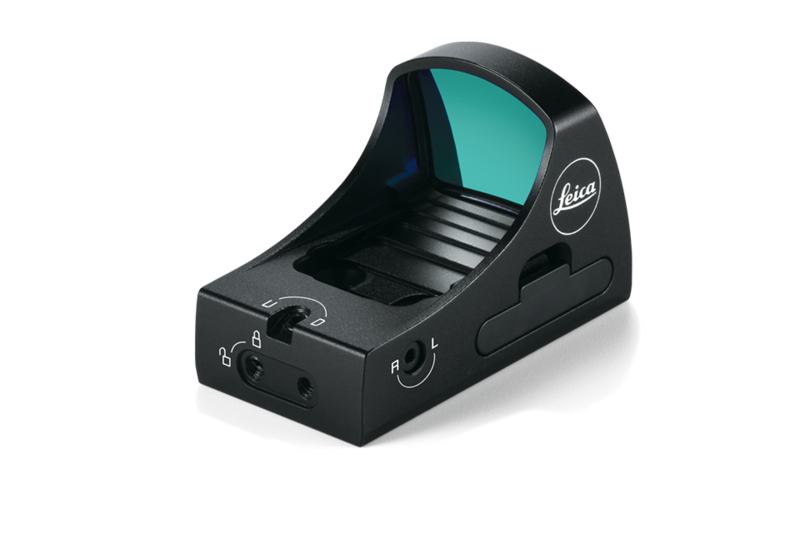 Leica is the first premium manufacturer to implement its red dot sight with asphere, guaranteeing an even crisper and more brilliant image of the illuminated dot, extremely high image quality as well as excellent viewing comfort. Milled from a single piece of aluminum, the compact and lightweight housing of the Tempus ASPH. is also extremely rugged and robust. The Tempus is available in two different versions: Either with dot size 3.5 MOA for more visibility of the target mark or with dot size 2.0 MOA for minimal target coverage. The Leica M10-D brings the unique experience of analog photography back into the digital world. While modern photography encounters an overwhelming number of features and functions, the M10-D is a bold statement of a conscious focus on the essentials of both the philosophy and function of photography. With no rear display, minimal yet effective controls, and an extremely quiet shutter, the Leica M10-D focuses on the desires of many photographers to concentrate solely on the act of making pictures. In place of the screen, it offers a mechanical on/off switch with dedicated Wi-Fi shortcut and a dial for direct control of exposure compensation. The absence of a display makes the M10-D look much like its analog forebears, and an integrated fold-out thumb rest atop the camera completes the analog look while improving handling. Aesthetics aside, the Leica M10-D by no means limits itself to analog austerity. 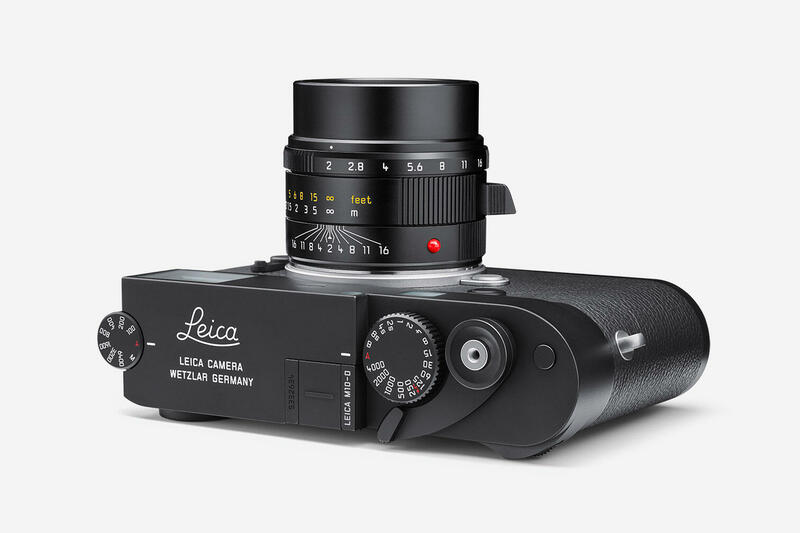 Its ability to pair with the Leica FOTOS App provides all the capabilities offered by a modern digital camera of superior quality and truly exceptional charm. now available from SIGMA’s Art line. Exceptional quality is the natural instinct of creators. An evolution of the Art line is driven by this desire. High-end cine lenses used by professional filmmakers are required to have a consistent characteristic over the entire sensor at a high level, because these lenses are used to film a subject moving freely on the screen or while panning or tilting the camera. This represents exactly the concept of the Art line; “optical performance comes first”, and the high-end cine lenses need to be designed with this idea. The SIGMA 40mm F1.4 DG HSM | Art is SIGMA’s first lens developed originally to live up to the sought-after angle of view and performance standard for a cine lens. This new perspective to ensure the quality of professional equipment for visual production empowers it to breakthrough also as an interchangeable photographic lens. The first of the series is the standard lens 30mm F1.4 DC DN | Contemporary, and the second is the wide-angle lens 16mm F1.4 DC DN | Contemporary. The third addition is this smallest mid-tele lens in its class*, 56mm F1.4 DC DN | Contemporary. While retaining the compact, lightweight, and outstanding image quality concepts of the Contemporary line, thanks to SIGMA’s leading-edge technology, this lens provides the amount of bokeh and admirable brightness expected from F1.4 lenses even in the mid-tele range. This addition completes the large aperture series comprised of portable wide-angle, standard, and telephoto lenses. The F2.8 zoom lenses are the essential equipment for many professional photographers. 70-200mm F2.8 lenses in particular are expected to perform at their best in various challenging scenes, from news to sports, landscape, and portraits. The SIGMA 70-200mm F2.8 DG OS HSM | Sports has high optical quality, a tough design and excellent handling ―all of the features required by professional photographers and high-end amateurs. The all-round, ultimate 70-200mm F2.8 is now available. At Photokina 2018 (Cologne, Germany), we have officially announced the beginning of our collaboration with Leica Camera AG and Panasonic Corporation to adopt the L-mount for future SIGMA products. SIGMA CINE LENS New Product UpdateThe SIGMA Corporation is pleased to announce the development of three new SIGMA CINE lenses in the FF High Speed Prime Line: 28mm T1.5 FF, 40mm T1.5 FF and 105mm T1.5 FF. With these additions, the FF High Speed Prime Line will comprise of ten lenses covering 14mm to 135mm and T1.5 to T2, empowering cinematic expression to an even higher degree. These new SIGMA CINE LENS models will be available for test shooting at the 2018 IBC Show to be held in Amsterdam between 14th to 18th September. For further details about the new FF High Speed Prime Line lenses and updates about previously released SIGMA CINE LENSES, please refer to the sections below. The FF High Speed Prime Line will grow with the addition of three new lenses. Compatible with a full-frame image circle and optimized for ultra-high-resolution 6K-8K shooting, the lineup exceeds even high-end prime sets. Combining all the main specifications that exist in other lenses in the lineup, this addition further expands the potential of movie production in the current digital era. Mounts: PL, EF and E-mount. Note: For further details, please refer to the specification chart. The SIGMA CINE LENS series will soon include LPL mount, the new lens mount optimized for the large format sensor released by ARRI in 2018. The planned release date for SIGMA CINE LENSES in LPL mount is 2019 or later. Sigma 50-150mm Canon firmware ladattavissa, päivitys tapahtuu USB docilla. Sigma 100-400mm Canon firmware ladattavissa, päivitys tapahtuu USB-dockilla. Sigma 150-600mm C ja S CANON Firmware päivitys ladattavissa, päivitys tapahtuu USB-dockilla. - Nopea 24MP täydenkoon CMOS -kenno. Nyt myös laadukkat levysuotimet varastossa. Yö-, taivas- ja tähtikuvaajan käytetyin suodin ASTROKLAR poistaa tehokkaasti valosaastetta. Saatavissa erikseen tai starterkitin mukana erikoishintaan. Lataa TÄSTÄ Tamarac mini katalogi itsellesi. Lue Matti Sulannon vierailusta Sigman tehtaalla! Sigma MC-11 firmware päivitys ladattavissa! Uudet Sigma Ambassadorit on valittu. Ennätyksellisen suuresta ja laadukkaasta hakijajoukosta on valittu kaksi Sigma Ambassadoria Marinella Himari ja Kim Öhman. Palkitusta Kaukokaipuu-matkablogistaan tunnettu Marinella Himari on Pohjois-Savon havumetsistä Italian kautta helsinkiläistynyt kalanainen ja kulkuri, joka matkustaa mieluiten maailman luontokohteiden ja tulisten katukeittiöiden perässä. Himarin rakkaus luontoa kohtaan näkyy etenkin naisen taltioimissa maisemakuvissa ja tähtitaivaassa, luonnon detalijen dokumentoinnissa sekä leirinuotiontuoksuissa retkitarinoissa. Palkittu helsinkiläinen valokuvaaja Kim Öhman on erikoistunut mainosvalokuvaukseen, erityisesti ruuan ja juomien kuvaamiseen. Öhman toimii myös opettajana Helsinki Design Schoolissa sekä Stadin ammattiopistossa. Pohjattoman utelias Kim inspiroituu ainutlaatuisista maisemista, matkan tekemisestä sekä kauniista, harkituista ruoka-annoksista. Luonnonvalon hyvä hallinta on ominainen piirre Kimin ruokakuvissa luoden kuviin tunnistettavan tyylin. Sigma 135mm F1.8 DG HSM | Art on erittäin suorituskykyinen objektiivi. Terävyys on erinomainen jo täydellä f/1,8-aukolla, parempi kuin monilla vastaavilla objektiiveilla. Objektiivilla voi terävyyden puolesta kuvata huoletta millä himmenninaukolla tahansa, täydelläkin. Sigma on onnistunut myös automaattitarkennuksessa, se on nopea ja täsmällinen. Suurimmalla aukolla toistuu myös taustan bokeh kauniin pehmeänä. 17.07.2017 Uusi päivitys SIGMA MOUNT CONVERTER MC-11 -adapterille on ladattavissa. Versio 1.07. Sigma USB dock:n käytöstä nyt 7 osainen video käyttöohje.